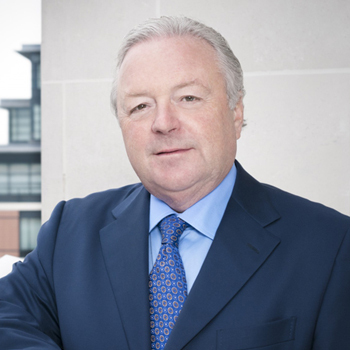 Michael was previously employed by CBRE, the US publicly quoted company and leading real estate adviser, as Chief Executive Officer and President of Europe, Middle East and Africa (EMEA). He also held a position as Executive Chairman of EMEA and, during a 15-year period, successfully implemented organic and acquisitive growth strategies which saw the business employee numbers grow from 1,500 to 11,000. Currently, Michael is a Non Executive Director of NHS Property Services Limited where he chairs the Asset and Investment Committee and is a member of the Remuneration Committee. He is also a Non Executive Director at GCHO Holdings Limited, the parent of Geoffrey Osborne Limited which is a private company involved in construction development and investment activities.